For images related to H7N9, go to Images of Avian Influenza A H7N9. This image illustrates the very beginning stages of an influenza (flu) infection. 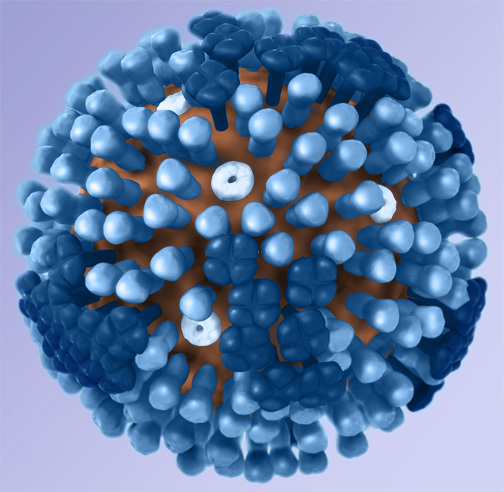 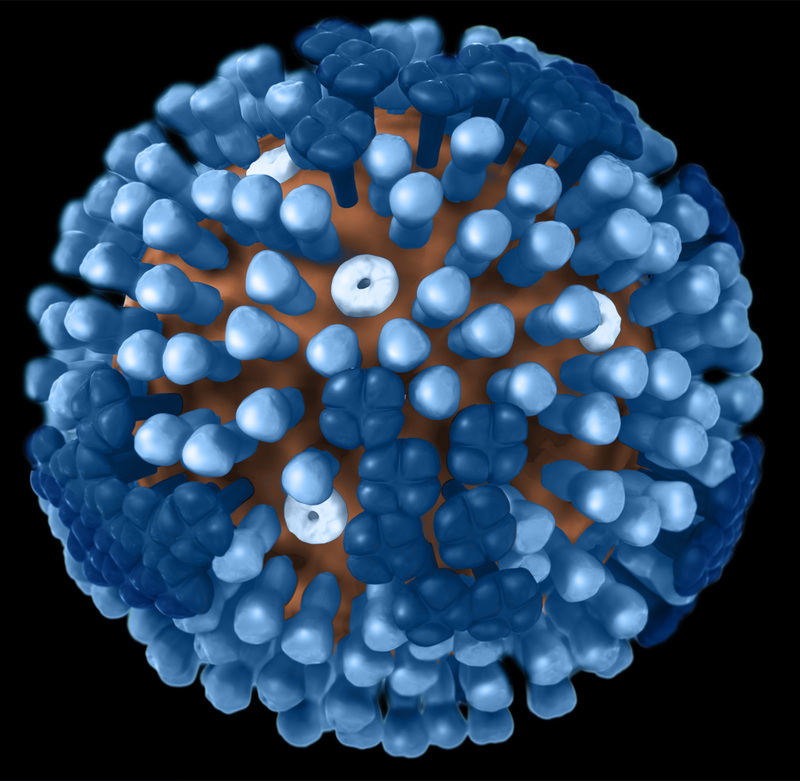 Most experts think that influenza viruses spread mainly through small droplets containing influenza virus. 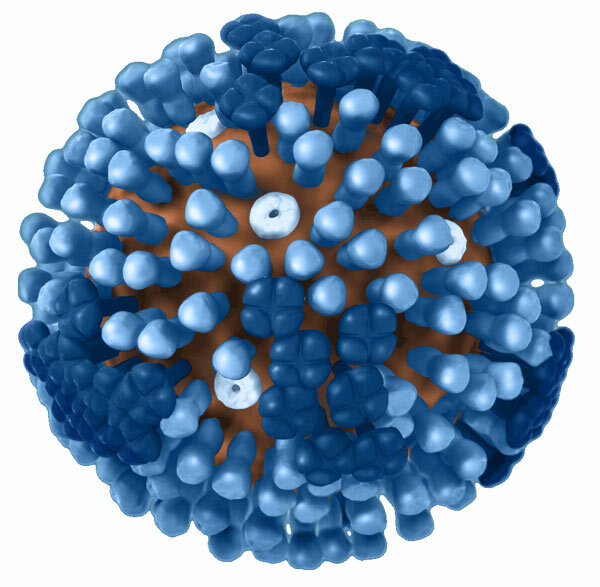 These droplets are expelled into the air when people infected with the flu cough, sneeze or talk. Once in the air, these small infectious droplets can land in the mouths or noses of people who are nearby. 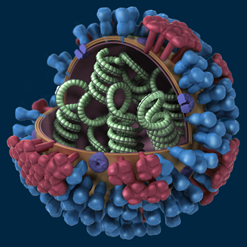 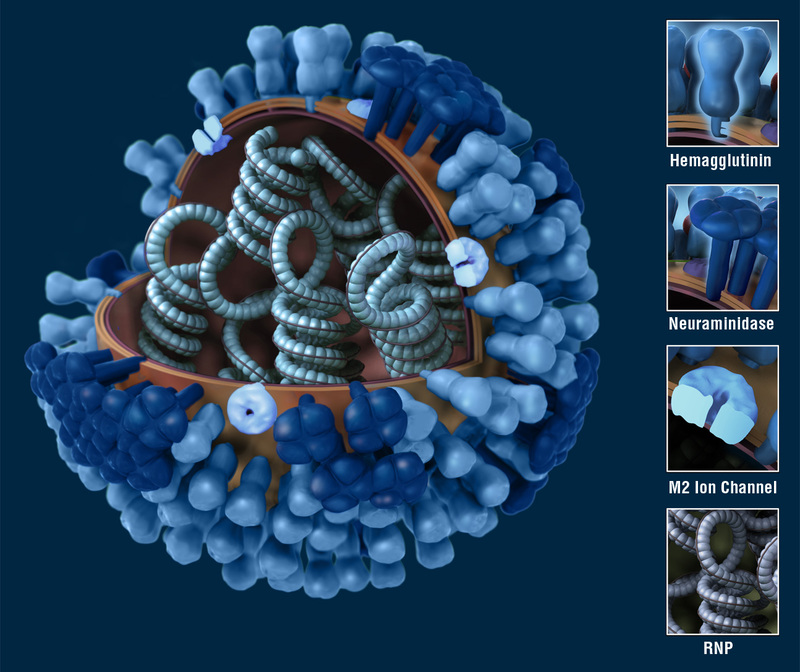 This image shows what happens after these influenza viruses enter the human body. 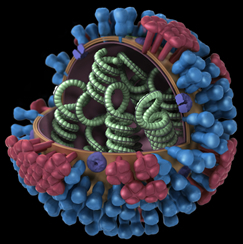 The viruses attach to cells within the nasal passages and throat (i.e., the respiratory tract). 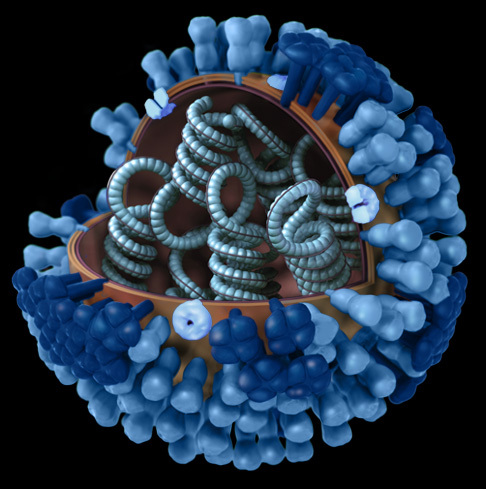 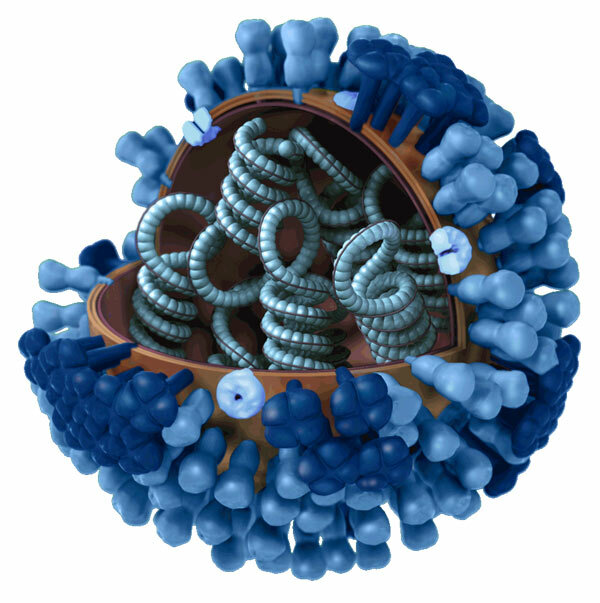 The influenza virus's hemagglutinin (HA) surface proteins then bind to the sialic acid receptors on the surface of a human respiratory tract cell. 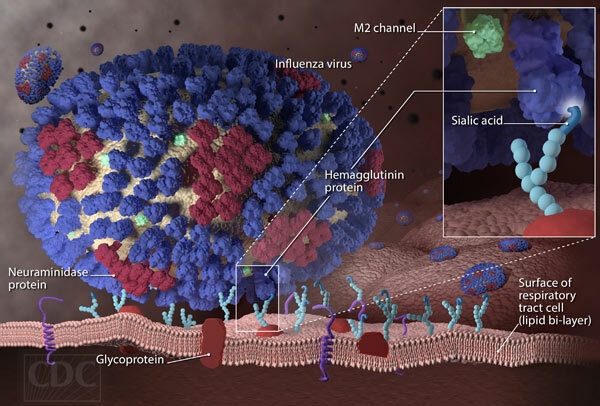 The structure of the influenza virus's HA surface proteins is designed to fit the sialic acid receptors of the human cell, like a key to a lock. 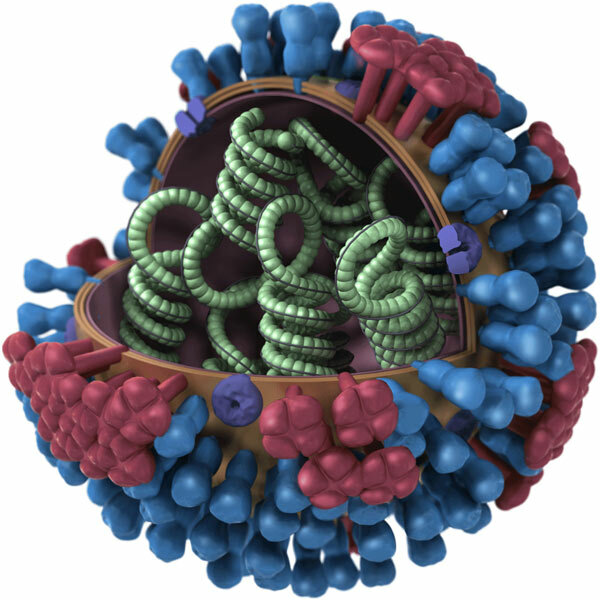 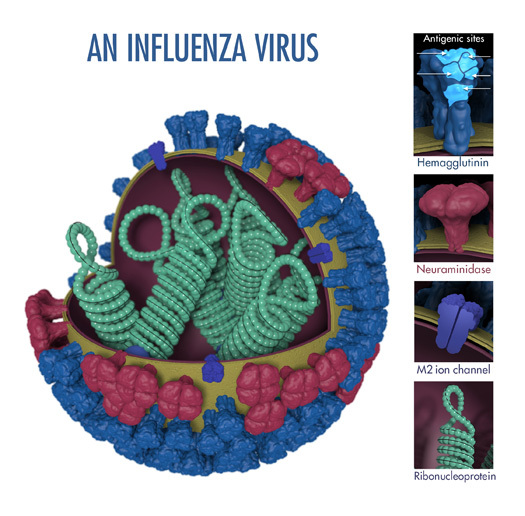 Once the key enters the lock, the influenza virus is then able to enter and infect the cell. This marks the beginning of a flu infection. 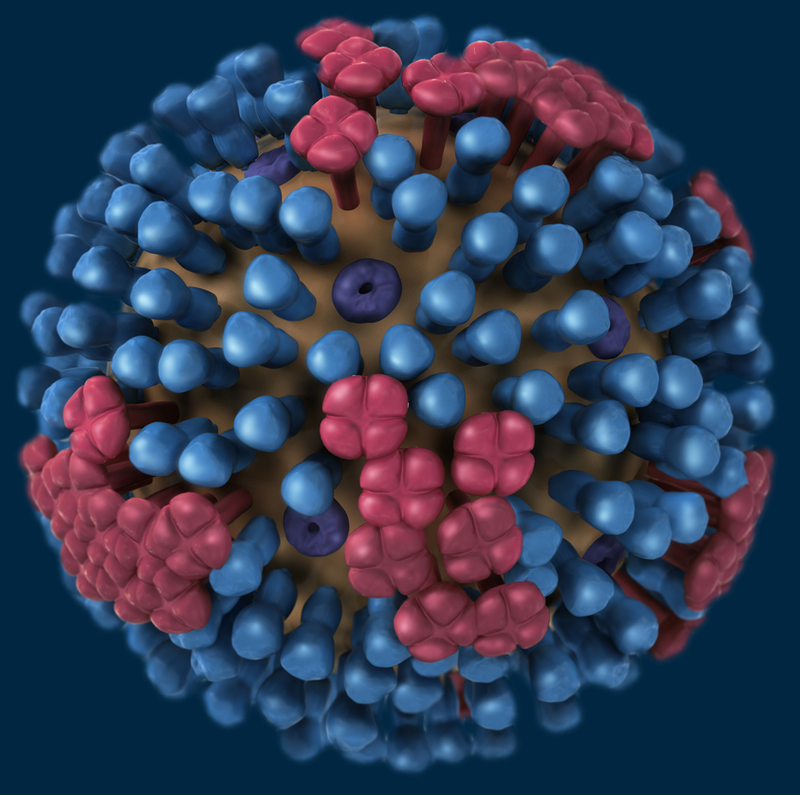 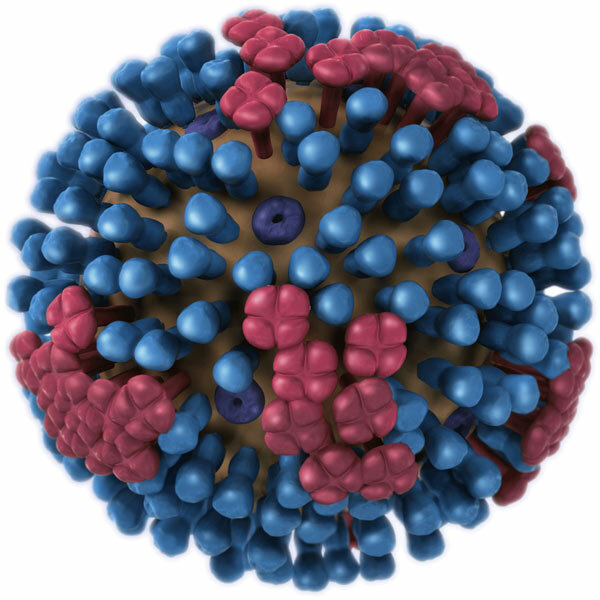 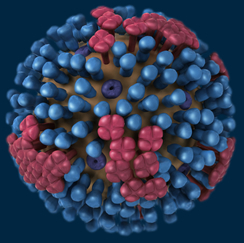 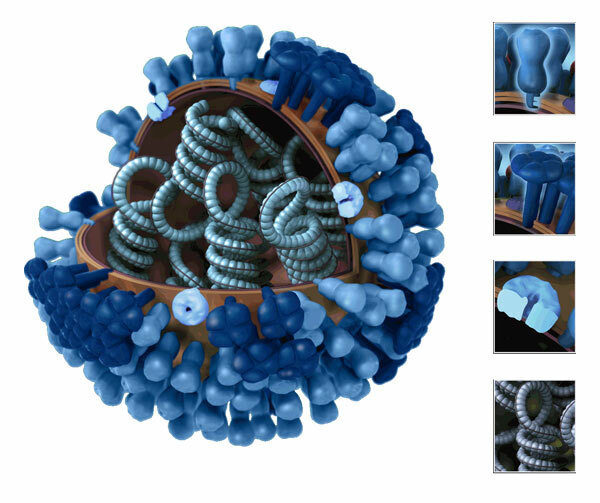 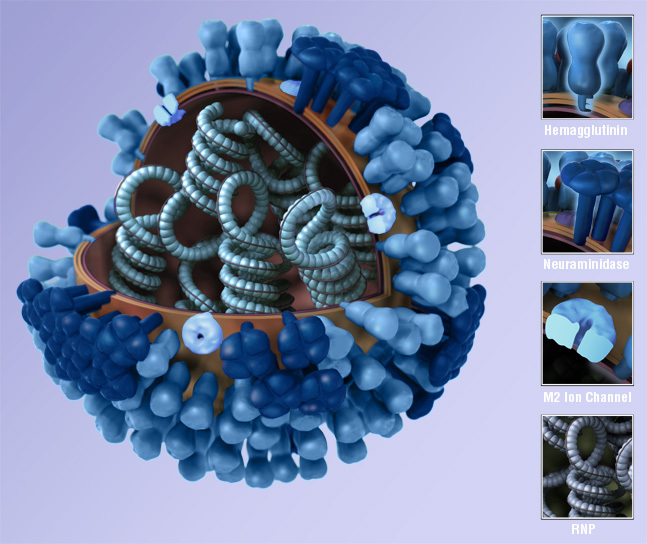 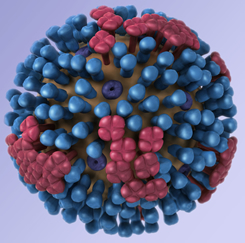 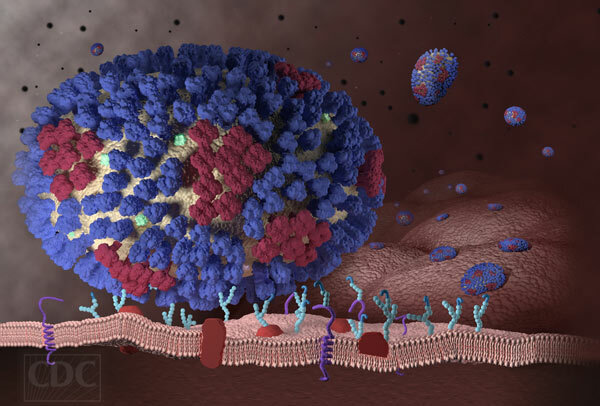 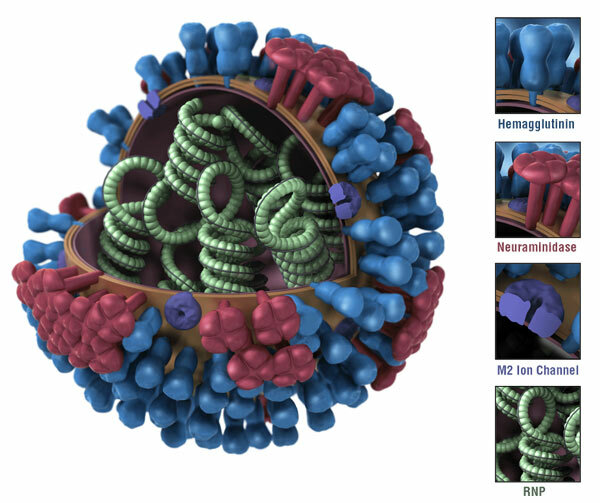 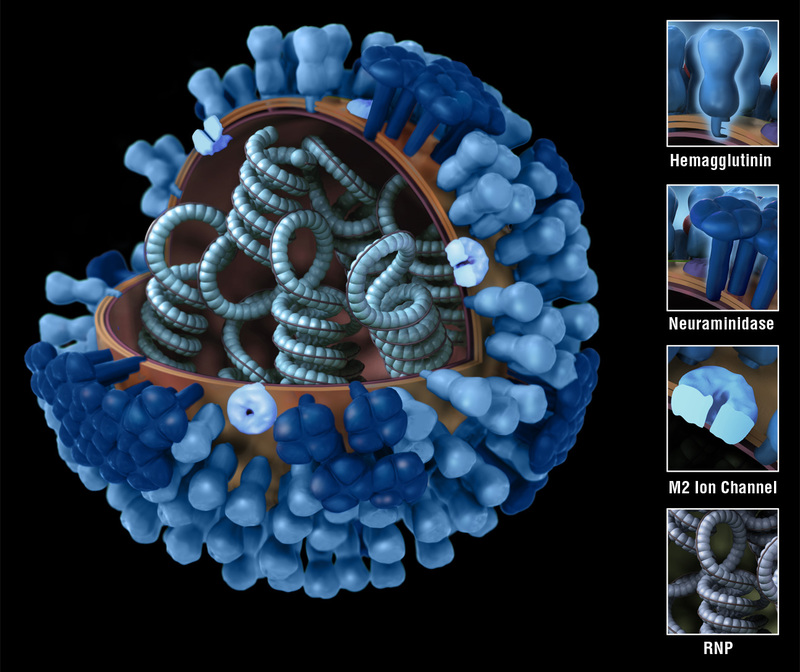 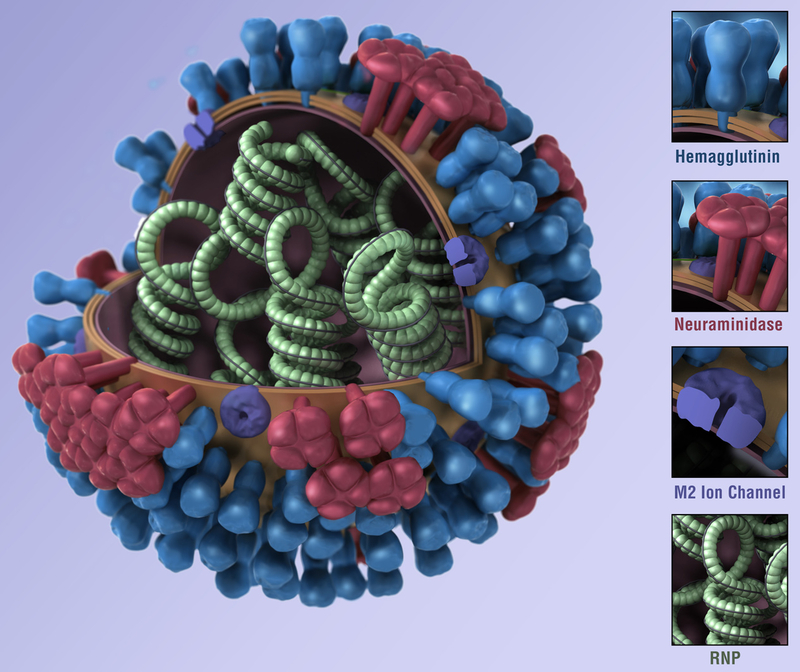 These images provide a 3D graphical representation of the biology and structure of a generic influenza virus, and are not specific to the 2009 H1N1 virus. 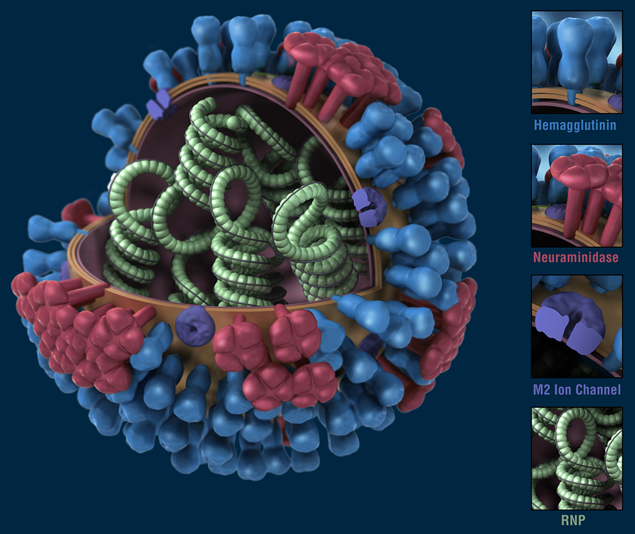 Available for download in 72 dpi. 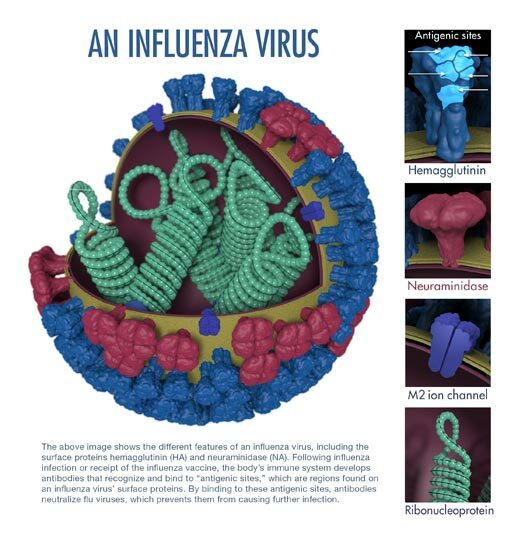 The above image shows the different features of an influenza virus, including the surface proteins hemagglutinin (HA) and neuraminidase (NA). 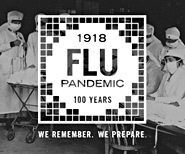 Following influenza infection or receipt of the influenza vaccine, the body's immune system develops antibodies that recognize and bind to "antigenic sites," which are regions found on an influenza virus' surface proteins. By binding to these antigenic sites, antibodies neutralize flu viruses, which prevents them from causing further infection.